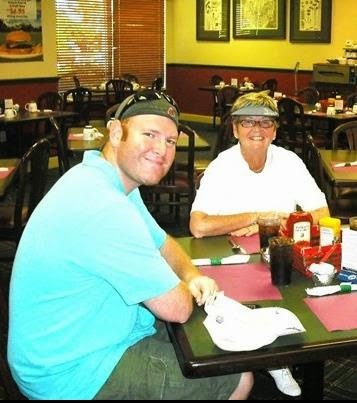 Ryan and his Mom after a round of golf in Florida. Before I became the owner of Minute Women Home Care, which was previously my Aunt’s company, I was a twenty-seven year old outside salesman living in Colorado who was trying to figure out his place in life. When I received the call in April 2011 that my mother had terminal brain cancer I knew only one thing, I needed to be by her side. I quit my job, moved across the county and rented a small apartment a few miles away from my parents’ home. As the cancer spread quickly and my mom’s condition worsened I did many things I thought I would not have to do. I held her shaking hand, tried to console her, witnessed her struggle to walk, and watched her have seizures. There was no point in discussing what was happening, because we all knew what the diagnosis was. I did my best to be upbeat and happy and made sure I was there to cook her favorite breakfast each morning, scrambled eggs with cheese and bacon. Eventually she could no longer walk which meant she needed help using the toilet. This was something I did not want to help with. Not because it was gross or because it was beneath me, but because I didn’t want that to be one of the last memories of my mother. She felt the same way. That is when she, my father and I decided to hire private home care. With bathroom safety and toileting products that we purchased, we were able to give the caregivers the tools to provide the care that my mother didn’t want to make us do. I am not going to tell you having an aide help you use the bathroom is not embarrassing, it still is, but it is less embarrassing to have a trained home health aide (who has done this hundreds of times) provide you that care then it was for my father and I to do it. It provided my mother more dignity, comfort, and privacy. End of life care is never easy. My mother said the worst part of cancer, other than death, was that it takes your dignity first. Having twenty-four hour a day care allowed my father and I enough time to get some sleep and recharge for another stressful day while providing my mom help. I was able to spend better quality time with her rather than caring for her constantly, and it allowed my mom to keep her dignity, even if it was a rather small amount in her eyes. I will always be sad that my mother passed away. My outlook is that it was the last gift my mother could give me. If it weren’t for her death I would never have had the conversation with my Aunt about taking over her company. I would trade that back to have my mom alive, but that is a trade I cannot make. So with Mother’s day this past Sunday, spend some quality time with your mom regardless if it is May 12th or not. For one of the biggest regrets people have when the end is near is not spending time with the people they love the most.